Many people have asked me about how I’ve set up my system and what my orchestration process is, so I decided to add a complete walkthrough to the blog. In this screencast, I have recorded myself doing an entire cue from opening the midi file to preparing the final studio-ready score. You can see how I’ve set up my own system to let me get through the process as efficiently as possible. I should point out that the focus here is on the technical side of things; this is not a video about the creative decisions you will face as an orchestrator. That’s what the rest of the blog is for! How I set up my iPad. Here is the touch OSC file. It would take a lot of work to set up for your own use, but it may give you some clues as to how to do it. Thank you so much for the multitude of knowledge you have shared through the years. I find your blog very helpful and enlightening. Quick question regarding JW Pattern with Keyboard Maestro. 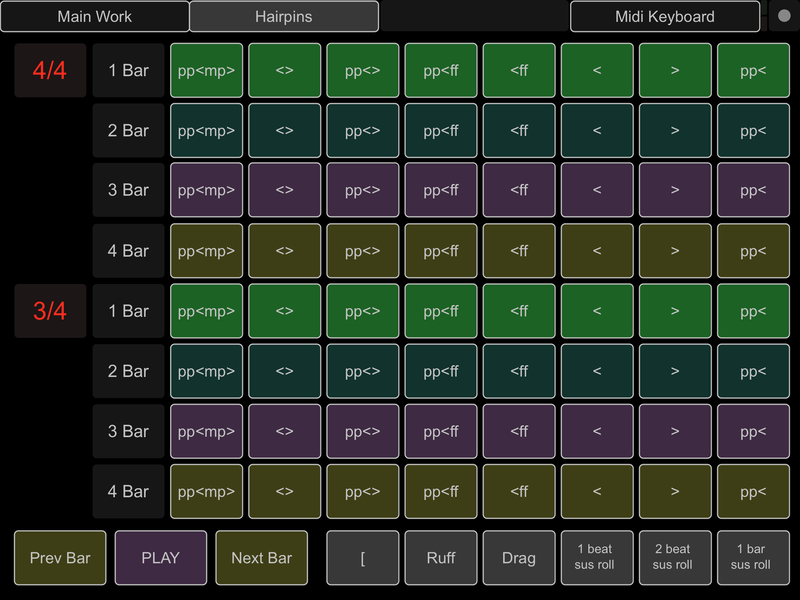 I can create a macro to open JW Pattern and select hairpins, but can’t figure out how to tell keyboard maestro to move to the “Select Type” menu, so I can choose diminuendo. The JW Pattern dialog box opens in a slightly different position each time it is accessed, so I can’t just set my pointer to a pre-specified spot, or record my movements. Any insight you (or any others who may read this) can give will be greatly appreciated! orchestation and all kind of playing in Australia is always FORTISSIMO, just listen to ACDC. Really gleaning a lot from your experience – thanks for sharing! I’ve experimented over the years with multiple workstation setups trying to find what works best ergonomically. The image of your workstation raises a couple questions: 1. Do you modify your setup when you are writing/composing vs. when you are orchestrating from a MIDI file? 2. What is the purpose of the second keyboard? Orchestration student here, discovering this late! Thanks for this and other resources Tim; definitely a game changer, as noted by Carlos and others. I use it instead of quickeys now. Quickeys is pretty much dead and unsupported. Thank you for this amazing blog. I have a general question somewhat relating to the beginning of your video when you mentioned leaving the creative side of orchestration for a minute, and focusing on the technical. I’ve run into some confusion and difference of terminology with “arranger” and “orchestrator”, and was wondering your thoughts, especially when it comes to union and non-union rates. 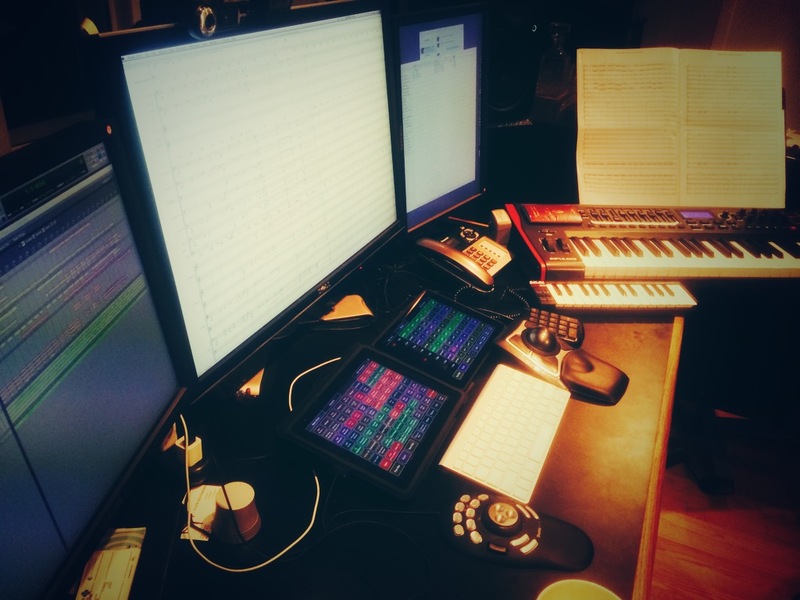 Does the term “orchestrator” imply arranging tasks when asked for, and if so, do you consider that different work and/or charge a different rate for those creative skills as opposed to the score prep? I recently did a job where I prepped all the music from midi files, and the “orchestration” (or arranging) was all laid out by the composer (minus some tweaks and midi clean up). Would I be considered an orchestrator or just a copyist? I’m running into differences of opinion and was wondering what you thought about all this! Trying to read those AFofM music prep charts is a bit confusing. Thanks! I have just moved my site and I believe a few comments have been lost in the changeover. Please post and again and I will answer any questions. To answer one of them about what I use to align things. That is the TG Move/Align Plugin, from the full suite, not the free one that came with finale. It allows you to set shortcut keys. 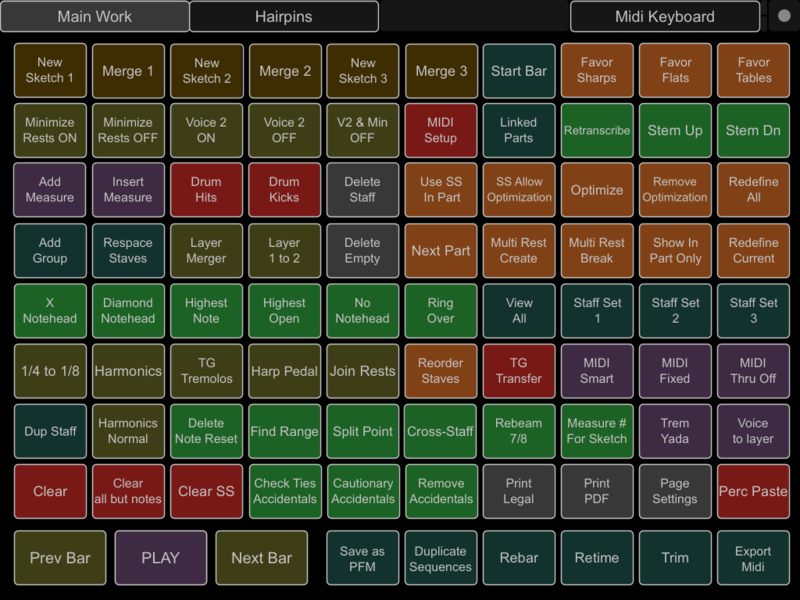 Unbelievable… the amount of time you spent to work through all these complex issues and come up with a setup like this. WOW. I am in awe and so grateful for the time you took to put together a video like this. Thank you so much, Tim! this is a GREAT video, and you are doing a HUGE service to students and others trying to streamline and work better.